There are many annoyances associated with owning a computer -- spam emails, phishing attacks, viruses and online advertising to name but a few -- but technical support scams are among the most worrying. They take advantage of people's ignorance and/or better natures, posing as tech support operatives from big companies over the phone. Being one of the best-known technology companies in the world, it's little surprise that a huge number of these tech support scams purport to be Microsoft calling to offer help with computer problems. 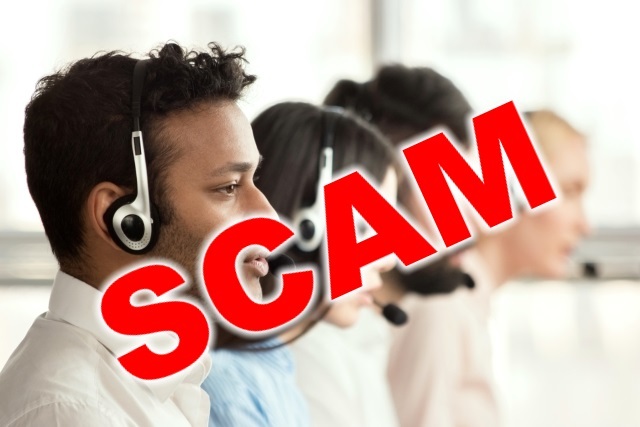 Such scams are responsible for conning people out of large amounts of money, but progress has been made in India where -- following reports from Microsoft -- arrests have been made at a number of call centers. Over the last few days, Indian police raided call centers in Delhi, arresting more than 30 people in numerous locations. It comes after another series of raids six weeks ago in which 24 people were arrested. Microsoft has been working with law enforcement agencies in the region, helping to track down groups scamming unwitting computer users out of hundreds of dollars for unnecessary technical support. Anyone may receive an unwanted phone call or experience a pop-up window on your device with a "warning" that your computer has a problem requiring immediate tech support. These messages are often very convincing and use scare tactics to entice consumers into contacting a fraudulent "tech support" call center. Call center operators typically encourage the victim to provide remote access to their device for "further diagnosis" before charging the victim a fee -- typically between $150-$499 -- for unnecessary tech support services. In addition to losing money, victims leave their computer vulnerable to other attacks, such as malware, during a remote access session.